Interested in being global this new years? Stuck at home at the same time? Some of us are suffering from the problem that we aren’t going to any parties, or we’re stuck in a small town that doesn’t have fireworks or anything interesting going on. Yet on this 2009/2010 New Years Eve, you have the option of watching it go off around the world! You can tune into earthTV.com, and check out all the different New Years Eve celebrations. The first camera will be situated in Auckland, New Zealand, and will go on air at 6:00 AM Eastern Standard Time. 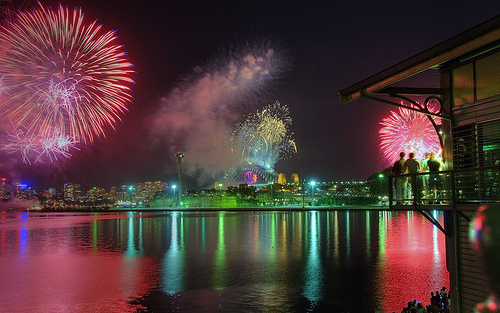 Two hours later, you’ll be able to watch the New Year’s celebration in Sydney, Australia, where they will set off fireworks at the Harbor Bridge. You can keep tuning in to different New Years, that will be shown from places like Hong Kong and Berlin. 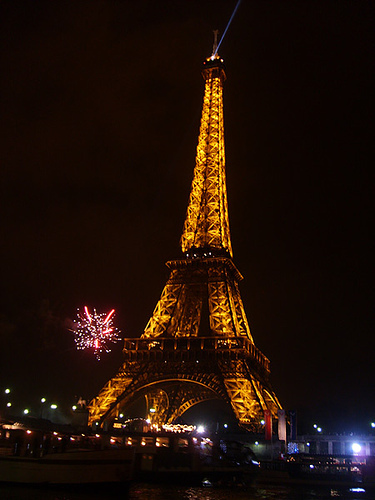 The program will also head to Paris, where you can witness the fireworks and Eifel Tower show live! It will end in America, on the West Coast, on January 1st 2010, 12:00 AM Pacific Standard Time. The final program will be set in Seattle, Washington, and you can watch the Space Needle Fireworks. Makes up for not making travel plans! You can watch this show by clicking here.